They tried to bury us. They didn't realize we were seeds. Community enlightenment based on the core beliefs of feminism. We are a non-profit organization that responds to the persistent and universal need for promoting, understanding and embracing the core beliefs of feminism. Through professional theatre and related initiatives, we work to change hearts and minds. *Women: PerSIStence Theatre recognizes the limiting nature of the binary use of woman. We serve and welcome anyone on the gender spectrum who identifies either always or some of the time as a woman. We also serve and welcome those who identify as nonbinary. Intersectionality: PerSIStence Theatre works through an intersectional lens for gender parity. We understand and acknowledge that systems of oppression and discrimination are interdependent and span all social categorizations such as race, class, gender, ability, parental status, size, age, and sexual orientation as they apply to a given individual or group. Addressing one spoke of systematic discrimination or disadvantage means holistically addressing them all. Click here to learn more about our Governance and Leadership. ​Click here to view our Respectful Workplace policy. 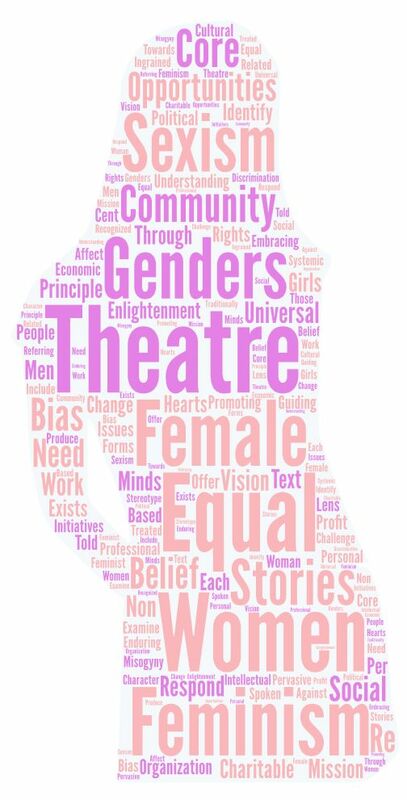 PerSIStence Theatre Company was founded in early 2017 with a mission to “respond to the persistent and universal need for promoting, understanding and embracing the core beliefs of feminism through professional theatre and related initiatives.” Officially incorporated as a non-profit on April 25, 2017, the board of directors worked quickly to become a professionally run organization, with the first Annual General Meeting on June 12, 2017. The organization’s activities include professional theatre, professional development opportunities, educational programs and community outreach. In our 2017-2018 season we produced four full-scale productions, two development workshops, and a major fundraising and advocacy gala under an operating budget of approximately $125,000. Our second season is currently underway with three productions planned.